Bengaluru: In most cases where the wife was made to contest due to the sudden death of her husband, she has registered a win in Karnataka politics. 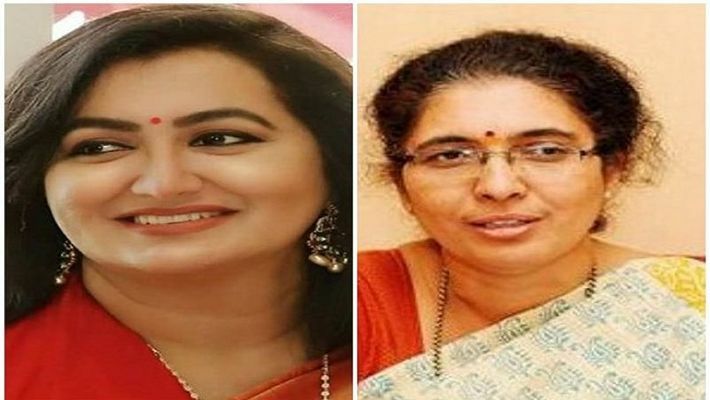 Currently in the Lok Sabha elections, Tejaswini Ananth Kumar and Sumalatha Ambareesh are set to contest after the demise of their respective husbands last year. Tejaswini is likely to contest from Bengaluru South on a BJP ticket and Sumalatha may try her luck in Mandya. Tejaswini’s husband Ananth Kumar passed away last year while actor-politician Ambareesh, the husband of Sumalatha, too died in 2018. In 1967, AS Chunchegowda's son AC Shrikanthaiah contested election after the death of his father. But he couldn't win election even after contesting four times. However, when Shrikanthaiah died in 1999, his wife was made a candidate from Srirangapatna on a Congress ticket and she won the election. Former minister KN Nagegowda, who was also the president of the Karnataka unit of the All-India Progressive Janata Dal (AIPJD), died of heart attack in 2004. In the Lok Sabha elections held that year, his wife Nagamani registered a massive win against MP G Madegowda's son Madhu Madegowda. Srirangapatna MLA AS Bandisiddegowda died in 1985. In the by-polls held in 1986, his wife Vijayalakshmi won. She also continued to win in 1994 and 2004 Assembly elections too. Congress MLA HS Mahadevprasad had died in January 2017. His wife Geetha Mahadevprasad was made to contest by-polls in Gundlupet and she won. Former minister Qamarul Islam died in September 2017. In the 2018 Assembly elections, his wife Khaneej Fatima contested from Kalaburagi constituency and registered a massive win. SD Jayaram had won the Mandya seat in the Assembly elections in 1985 and 1994. But after his sudden death in 1998, his wife Prabhavathi Jayaram was made to contest the by-election and she won with massive margin. Maddur MLA MS Siddaraju of the JD(S) passed away in 2008. His wife Kalpana Siddaraju contested the by-election and registered a win in the same year. Former minister and JD(S) leader H Nagappa died in 2002, after being attacked by bandit Veerappan's gang. His wife Parimala Nagappa was given a ticket from Hanur constituency and she won the election in 2004.